Capitol City Sports is a state of the art 9000 square foot indoor training facility located in Salem Oregon. We have cage rentals that can be used for hitting, pitching and fielding. 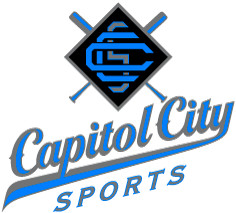 Capitol City Sports also provides one on one instruction, breaking down the fundamentals of the game. Our one on one training is done on-sight by former Professional Baseball Player Jerry McMullen and San Francisco Giants Hitting Coach Ricky Ward. Let's get to the next level together! Call (503) 967-7212 or Email today!